Different framings of effectiveness will influence the entire adaptation process, from identifying the vulnerabilities that adaptation aims to address, to determining who benefits and who is left behind, which adaptation actions are chosen and funded, and how they are implemented. Justice, governance, community-based adaptation, and sustainability framings are particularly important for ensuring outcomes that benefit vulnerable communities in semi-arid regions. But in any adaptation process, considering multiple framings is critical for facilitating effective, equitable and inclusive adaptation that is actively cognisant of the marginalised and most vulnerable. A clear exploration and articulation of effectiveness, from multiple framings, can guide organisations in setting adaptation priorities and outcomes, in defining criteria for funding adaptation projects, in assessing proposals, and in evaluating implementation. Current and future climate change necessitates urgent adaptation action, especially in semi-arid regions across Africa and India which are home to millions of people, many of whom are acutely vulnerable to climatic and non-climatic risks. While researchers, practitioners and funders converge to accept the urgency for adaptation, there is less agreement on what this adaptation should entail. What outcomes should adaptation deliver? Which options should be implemented? Who should benefit? Where should adaptation be prioritised? What rules and institutional arrangements should apply? In ASSAR, we examined what ‘effective adaptation’ can mean for different disciplines, perspectives and actors, and explored the implications of these different meanings for adaptation in practice. Our findings are based on a review of the theoretical advances in adaptation and related research, as well as primary case studies across semi-arid Africa and India. Defining and measuring effectiveness in adaptation is complex and challenging. It is difficult because climate change is a fast-moving target, delineating climate adaptation from development interventions is difficult, and there is low agreement on the indicators to measure adaptation. Critically, what is effective today may not be effective tomorrow, and present adaptation interventions may have trade-offs either in other places, for other people, or in the future. However, it is of utmost importance to plan for ‘adequate’ and ‘effective’ adaptation in a post-Paris-Agreement world. We argue that assessing effectiveness from different framings will enhance the success of adaptation, by taking a multidimensional approach, avoiding unintended consequences, and through a greater awareness of the assumptions that come into play when defining effectiveness. We have identified eleven conceptual framings that can influence how adaptation effectiveness is defined and measured. These framings often overlap, but at their core have distinct primary principles. For each framing, we reviewed the underlying thinking and epistemological origins, and show examples of how the framing has been used in adaptation theory and in practice. We then distilled each framing into a “principle for effective adaptation”. These principles combine to provide a proposed list of issues that anyone engaged in adaptation should reflect on when designing, funding, implementing and evaluating an adaptation action. Drawing on a utilitarian cost-benefit farming, adaptation is deemed effective if it is efficient. Usually framed in terms of financial cost, and the number of people who benefit, it has also been applied to look at minimising other costs, such as implementation complexity, and delivering multidimensional social and environmental benefits, as well as co-benefits with mitigation. Drawing from a long history of disaster, food security and development studies, adaptation to climate change is successful if exposure and sensitivity to climate risks is reduced, or adaptive capacity is enhanced, with a particular focus on the most vulnerable. Adaptive capacity can be enhanced by focusing on five capitals (natural, physical, social, financial and human) which will result in effective adaptation to climate change. This approach to effective adaptation focuses on three main aspects of justice, drawing from the environmental justice literature. The quest for distributional justice is to essentially understand who benefits and who loses in society, while procedural justice focuses on the fairness in the processes by which decisions are made. The idea of recognition justice tries to understand whose needs count and which concerns matter, when it comes to climate change adaptation. A maladaptation lens forefronts the idea of acknowledging how adaptation actions may have cross-scalar, long-term impacts where an intervention could inadvertently increase GHG emissions, disproportionately burden the most vulnerable or increase vulnerability, have high opportunity costs, reduce future incentives to adapt, or create path dependency. Drawing on ideas from sustainability science, this framing considers adaptation to be effective when it meets economic, ecological and equity goals (the three pillars of sustainability) with an explicit focus on understanding longer-term, cross-generational viability of adaptation actions. This thinking has led to the term ‘sustainable adaptation’ which attempts to bring the goals of sustainable development and effective adaptation together. Governance arrangements that support greater participation, decentralisation, and inclusion within and across scales will support better definition of adaptation needs and options, as well as more effective implementation. The complexity of governance has been measured using indicators for transparency, accountability, participation, inclusion, knowledge sharing, flexibility, political leadership, technology, funding, and stakeholder engagement. Drawing from the capabilities approach, a wellbeing framing focuses not only on material aspects of wellbeing, but also on subjective wellbeing. In doing so, it goes beyond structural and distributional aspects of assets and capitals that are possessed by individuals, to aspirations of what people really want to do or be. This allows for adaptation that not only reduces vulnerabilities, but also works towards supporting achievement of people’s aspirations for “a good life” in the face of climate change. Drawing from bottom-up, participatory development approaches, community-based adaptation (CBA) encapsulates the critical role of communities in formulating, implementing and maintaining local adaptation. A CBA lens can help forefront communities in defining adaptation priorities, articulating expected outcomes that deliver on aspirations and needs of the marginalised. It can also build the agency of vulnerable communities, highlighting the importance of capacity building, co-production of solutions, empowerment, and institutional and financial devolution. Resilience thinking has its roots in the ecological sciences in that it acknowledges ecological limits to adaptation. While parallels and contrasts have been drawn to the concept of vulnerability, the ability to bounce back from shocks and stressors is really what makes systems resilient, and enhanced adaptive capacity can both decrease vulnerability as well as increase resilience. Factors that confer resilience to systems are diversity, functional persistence, and self organisation. Spatial and temporal trade-offs, and trade-offs between objectives, become relevant when thinking of resilience in human-environmental systems. An ecosystem-based approach to adaptation (EbA) highlights the critical role ecosystem services play in supporting local adaptation. For example, conserving water resources, maintaining soil fertility, and protecting forest cover can build natural capital and contribute to well-functioning socio-ecological systems. Given that a large proportion of vulnerable populations are dependent on natural resource-based livelihoods, an EbA lens focuses on ecosystem functionality and how it can be enhanced to support these livelihoods. A transformational adaptation framing highlights the need to fundamentally reorient human practices in the face of climate change, and overtly challenges the social, political and economic structures that generate vulnerability to its impacts. Different framings privilege certain aspects of effectiveness. For example, a justice and equity framing tends to forefront thinking about who benefits from adaptation, and who is involved in adaptation processes. Contrastingly, an efficiency framing that tends to use cost-benefit analyses to define what is effective hinges on utilitarian ideas of the greatest good for the greatest number, reducing costs and maximising benefits, while ignoring differential aspects of vulnerability. The eleven framings can be used as guiding principles for adaptation, ideally in a pervasive manner, but at least in any relevant part of a process. For example, to define adaptation objectives and outcomes, to address equity, to design and implement governance arrangements, to pre-empt unintended negative outcomes, and to understand and address deeper political-economic drivers. Keeping these principles as a checklist during project conceptualisation can help forefront intangible but critical aspects of adaptation such as a focus on building flexible, robust and inclusive institutions (good governance framing), or prioritising bottom-up, people-oriented solutions (drawing on the CBA framing). Adaptation financing facilities can use these principles to inform their guidelines for funding, and in the evaluation of the projects they fund. Abass, R., Mensah, A. and Fosu-Mensah, B. 2018. The role of formal and informal institutions in smallholder agricultural adaptation: The case of Lawra and Nandom Districts, Ghana. West African Journal on Applied Ecology, 26: 56-72. Link to article. Link to summary. Akugre, F.A. 2017. Implications of land tenure rights on farmers’ adaptive capacity to climate variability and change in semi-arid North-Western Ghana: The case of crop farmers in the Lawra district. Master's thesis. University of Ghana. Link. Assabil, B. 2017. Women farmers’ perception to climate change/variability and their adaptation strategy in the Lawra district. Master's thesis. University of Ghana. Link. ASSAR. 2018. Do conservancies enhance the adaptive capacity of communities? Perspectives from ASSAR’s work in Kenya. [Information brief]. Adaptation at Scale in Semi-Arid Regions (ASSAR). Link. ASSAR. 2019. Does villagisation enhance the adaptive capacity of pastoralist communities? 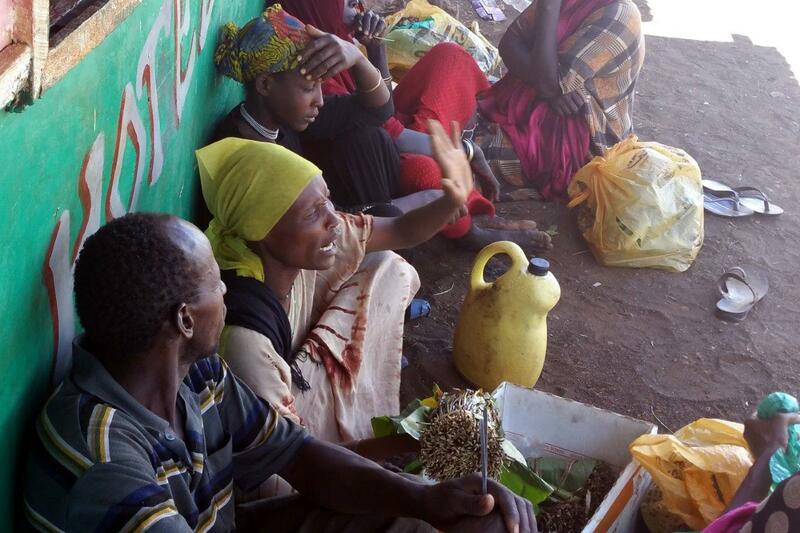 Perspectives from ASSAR's work in Ethiopia. [Information brief]. Adaptation at Scale in Semi-Arid Regions (ASSAR). Link. ASSAR. 2019. Supporting resilient agriculture in semi-arid Ghana. [Information brief]. Adaptation at Scale in Semi-Arid Regions (ASSAR). Link. Berthe, D. 2017. Analyse de la dynamique des modes d'accès au foncier agricole dans les communes rurales de koloningue et de m’pessoba, Cercle de Koutiala au Mali. Master's thesis. Institut supérieur de formation à la recherche appliquée (ISFRA). Link. Biney, A. 2019. The role of remittances on adaptive capacity of smallholder farmers in Lawra district. Master's thesis. University of Ghana. Link. Camfield, L., Leavy, J., Endale, S. and Tefere, T. In prep. 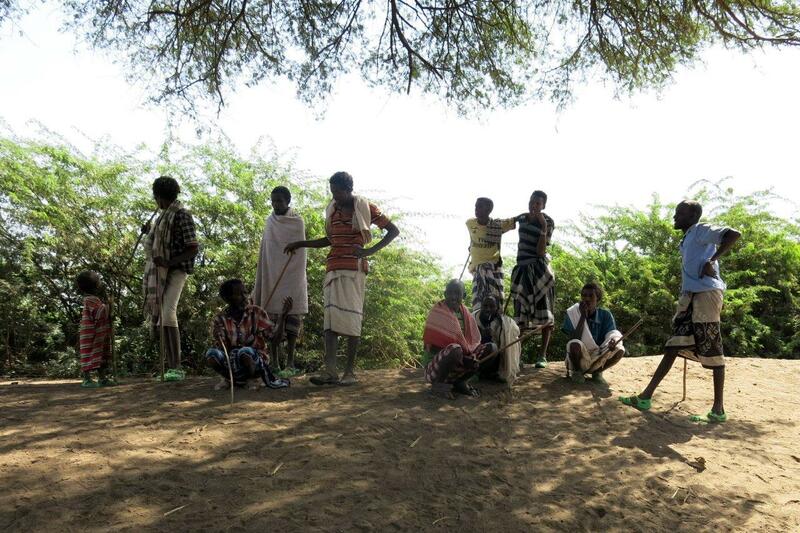 ‘People who once had 40 cattle are left only with fences’: Coping with Persistent Drought in Awash, Ethiopia. Link to presentation. CARIAA. 2018. Understanding migration in India. [Information brief]. Collaborative Adaptation Research in Africa and Asia (CARIAA). Link. D’Souza, M., Rao, B. and Awashi, S. 2016. Community-driven vulnerability assessment and resilience building: Cases from development contexts. In: J. Aleta, S. Huq, C. Ochleng, V. Orindi and T. Owiyo (eds.) Enhancing Adaptation to Climate Change in Developing Countries Through Community-Based Adaptation: Think Globally and Act Locally. African Centre for Technology Studies (ACTS): Nairobi, Kenya, pp. 123-139. Link to book. Link to chapter. Davies, J., Spear, D., Ziervogel, G., Hegga, S., Angula, M., Kunamwene, I. and Togarepi, C. In prep. Avenues of understanding: mapping the intersecting barriers to adaptation in Namibia. Link to poster. Few, R., Satyal, P., McGahey, D., Leavy, J., Budds, J., Assen, M., Camfield, L., Loubser, D., Degefu, M. A. and Bewket, W. 2015. Vulnerability and adaptation to climate change in the semi-arid regions of East Africa. CARIAA-ASSAR Working Paper. Adaptation at Scale in Semi-Arid Regions (ASSAR). Link. Few, R., Morchain, D., Spear, D., Mensah, A. and Bendapudi, R. 2017. Transformation, adaptation and development: Relating concepts to practice. Palgrave Communications, 3: 17092. DOI: 10.1057/palcomms.2017.92. Link to summary. Few, R., Satyal, P. and Tebboth, M. G. L. In prep. Using a justice/ capabilities framing to understand people's vulnerability and adaptive capacity in the drylands of East Africa. Gajjar, S. P., Singh, C. and Deshpande, T. 2018. Tracing back to move ahead: A review of development pathways that constrain adaptation features. Climate and Development. DOI: 10.1080/17565529.2018.1442793. Link to summary. Hegde, G., Singh, C. and Kaur, H. 2018. 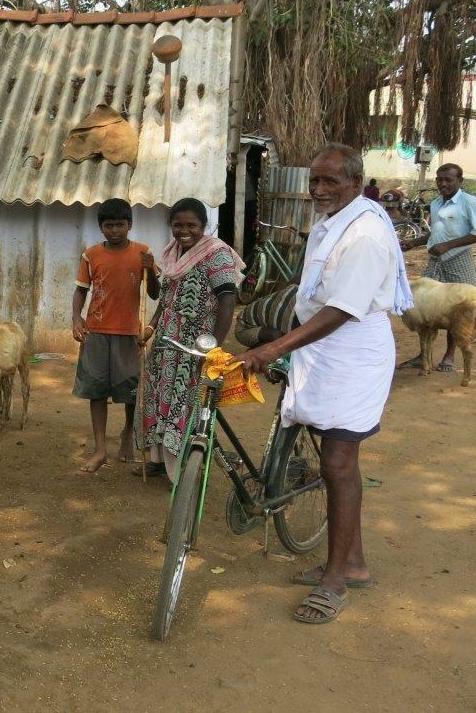 Adaptation as innovation: Lessons from smallholder farmers in rainfed Karnataka. [Information Booklet]. Adaptation at Scale in Semi-Arid Regions (ASSAR). Link to English version. Link to Kannada version. Kunamwene, I. In prep. Wellbeing as a way of looking at vulnerability and response to drought in Onesi, Namibia. PhD thesis. University of Cape Town. Link. Mascarenhas, K., Bhargava, V. and Bazaz, A. In prep. Adapting for Bengaluru’s future: Advocating green infrastructure based development for resilience planning. Michael, K., Deshpande, T. and Ziervogel, G. 2018. 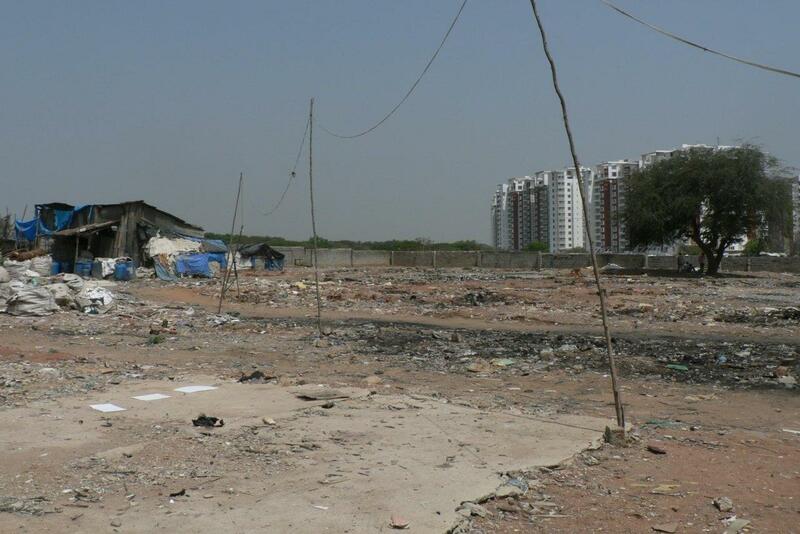 Examining vulnerability in a dynamic urban setting: The case of Bangalore’s interstate migrant waste pickers. Climate and Development. DOI: 10.1080/17565529.2018.1531745. Link to summary. Link to information brief. Michael, K., Singh, C., Deshpande, T. and Bazaz, A. 2017. 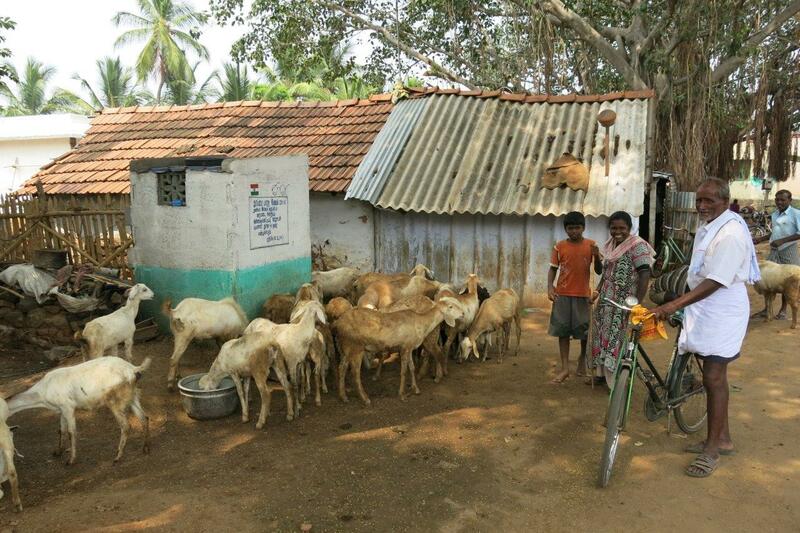 Dimensions of vulnerability in rural and urban areas: A case of migrants in Karnataka. [Information brief]. Adaptation at Scale in Semi-Arid Regions (ASSAR). Link. Misquitta, K. and Thatte, K. 2018. Whose appropriate technology? Understanding the adoption of micro-irrigation in the face of climate and policy uncertainty. CARIAA-ASSAR Working Paper. Adaptation at Scale in Semi-Arid Regions (ASSAR). Link. Morchain, D. 2018. Rethinking the framing of climate change adaptation: Knowledge, power, and politics. In: S. Klepp and L. Chavez-Rodriguez (eds.) A Critical Approach to Climate Change Adaptation. London, UK: Routledge, pp. 77-96. Link to book. Link to chapter. Mugari, E., Masundire, H., Bolaane, M. and New, M. 2018. Perceptions of ecosystem services provision performance in the face of climate change among communities in Bobirwa sub-district, Botswana. International Journal of Climate Change Strategies and Management. DOI: 10.1108/IJCCSM-09-2017-0178. Link to presentationsummary. Rao, N., Mishra, A., Prakash, A., Singh, C., Qaisrani, A., Poonacha, P., Vincent, K. and Bedelian, C. In prep. Women’s agency and adaptive capacity in climate change hotspots: A qualitative comparative analysis from Asia and Africa. Sami, N. 2017. Multi-level climate change planning: Scale, capacity and the ability for local action. In: S. Moloney, H. Fuenfgeld and M. Granberg (eds.) Local Action on Climate Change. London, UK: Routledge, pp. 92-110. Link to book. Link to chapter. Singh, C., Basu, R. and Srinivas, A. 2016. Livelihood vulnerability and adaptation in Kolar District, Karnataka, India: Mapping risks and responses. Adaptation at Scale in Semi-Arid Regions (ASSAR). Link. Singh, C., Gajjar, S. P. and Deshpande, T. 2016. Policies, projects and people: Exploring the adaptation-development spectrum in India. CARIAA-ASSAR Working Paper. Adaptation at Scale in Semi-Arid Regions (ASSAR). Link. Singh, C., Michael, K. and Bazaz, A. 2017. Barriers and enablers to climate adaptation: Evidence from rural and urban India. [Information brief]. Adaptation at Scale in Semi-Arid Regions (ASSAR). Link. Singh, C., Deshpande, T. and Basu, R. 2017. How do we assess vulnerability to climate change in India? A systematic review of literature. Regional Environmental Change, 17(2): 527-538. DOI: 10.1007/s10113-016-1043-y. Link to summary. Singh, C. and Basu, R. In prep. Moving in and out of vulnerability: Interrogating migration as an adaptation strategy along a rural urban continuum in India. Link to summary. Singh, C., Solomon, D., Bendapudi, R., Kuchimanchi, B., Iyer, S. and Bazaz, A. In prep. What shapes vulnerability and risk management in semi-arid India? Moving towards an agenda of sustainable adaptation. Link to summary. Solomon, D. S. and Rao, N. 2018. 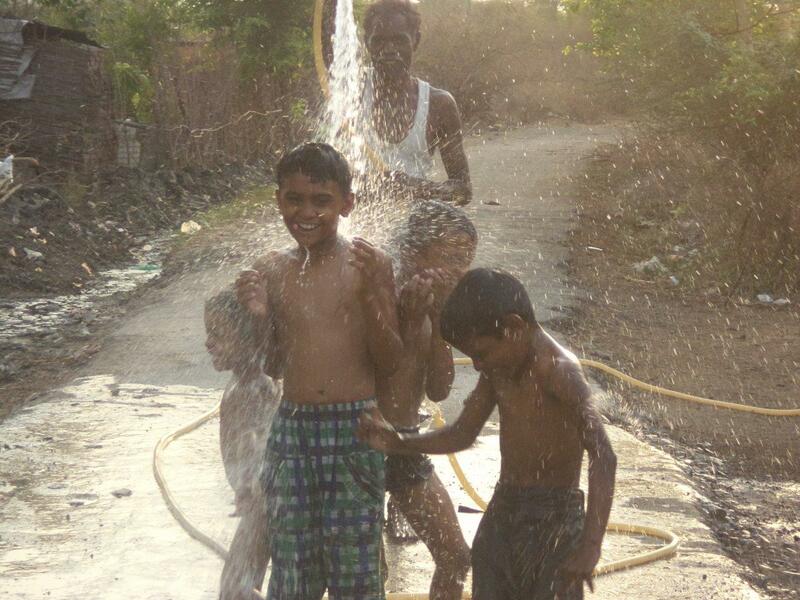 Wells and wellbeing in South India. Economic & Political Weekly, 53(17). Available at: https://tinyurl.com/yawfjgu7. Link to summary. Link to infographic. Link to information brief. Spear, D., Zaroug, M. A. H., Daron, J. D., Ziervogel, G., Angula, M. N., Haimbili, E. N., Hegga, S. S., Baudoin, M., New, M., Kunamwene, I., Togarepi, C. and Davies, J. 2018. Vulnerability and responses to climate change in drylands: The case of Namibia. CARIAA-ASSAR Working Paper. Adaptation at Scale in Semi-Arid Regions (ASSAR). Link. Sulemana, A. 2017. Management and use of non-timber forest products (NTFPs) as climate change adaptation strategy in Lawra district, Ghana. Master's thesis. University of Ghana. Link. Tebboth, M. G. L., Singh, C., Spear, D., Mensah, A. and Ansah, P. In prep. The role of mobility in changing livelihood trajectories: Implications for vulnerability and adaptation in semi-arid regions. Link to summary. Togarepi, C. and Nangolo, E. In prep. Gendered responses to climate change impacts on ecosystem services in north-central Namibia. Totin, E., Sidibe, A. and Thompson-Hall, M. In prep. Governance of resources: Is there space for implementing the land policy under complex customary tenure practices? Link to presentation. Totin, E., Sidibe, A., Thompson-Hall, M. and Olabisi, L. In prep. Achieving sustainable future objectives under uncertain conditions: Application of a reflexive framework to adaptation trajectories in rural Mali. Link to summary. Traore, O. T. 2016. Gouvernance et vulnérabilité des groupes sociaux: Analyse de la situation institutionnelle autour du coton dans le Cercle de Koutiala. Master's thesis. Institut Universitaire de Développement Territorial de Bamako (IUDT). Link. Wasonga, O., Kibet, S., Tebboth, M. G. L., Few, R. In prep. Do wildlife conservancies enhance the adaptive capacity of local communities? Perspectives from northern Kenya. Ziervogel, G., Satyal, P., Basu, R., Mensah, A. and Singh, C. In prep. Vertical integration for climate change adaptation in the water sector: Lessons from decentralisation in Africa and India.